Friendly service. Friendly atmosphere. Comfortable beds. 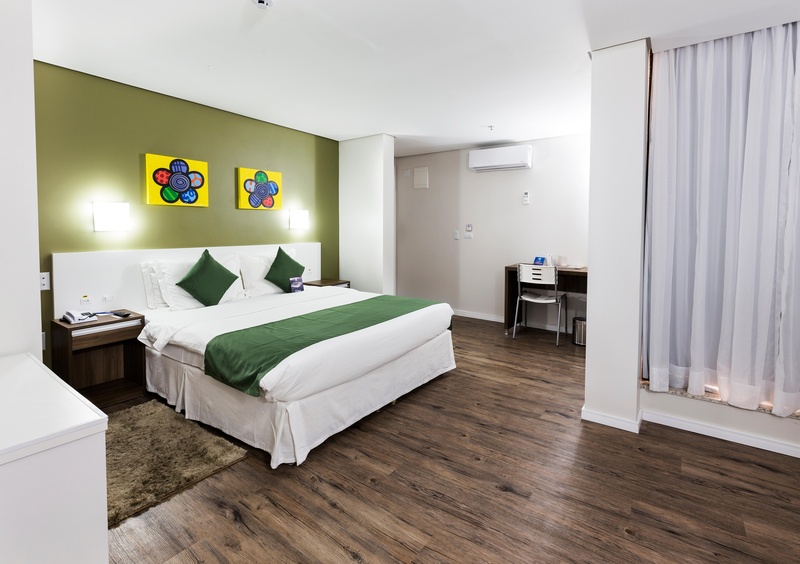 The Sibara Flat Hotel &amp; Convenções features pleasant rooms and self-serviced apartments only 50 metres from the Balneario Camboriu central beach. Rooms at the Sibara Hotel are warm and bright with plenty of natural light, and all are equipped with a range of facilities, assuring its guests a comfortable stay. 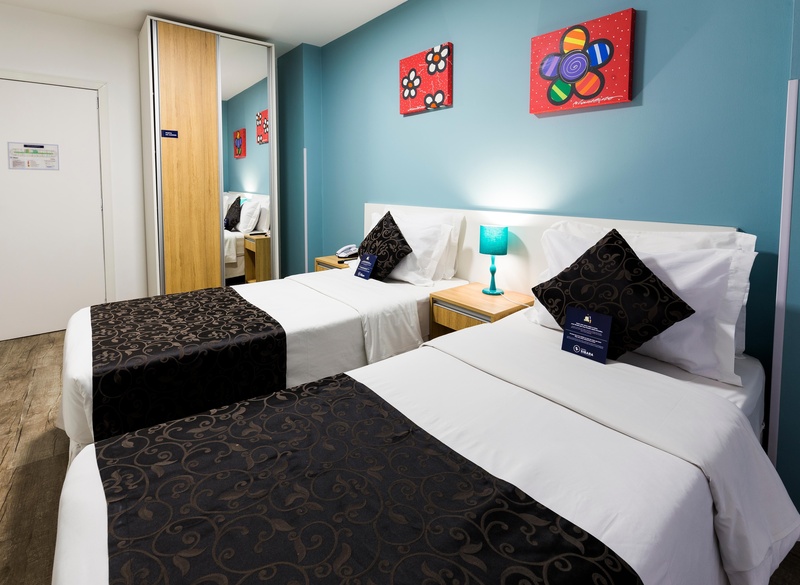 The spacious apartments feature a fully-equipped kitchenette and separate lounge area. Guests can go for a refreshing swim in the outdoor pool on a sunny afternoon or evening and later relish Italian cuisine in the onsite Sapore Speciale Restaurant. The restaurant also offers a daily breakfast buffet, and the hotel provides Wi-Fi internet access for added convenience. Close to several shops. Good location. Comfy chairs. Nice rooms. Room was small.